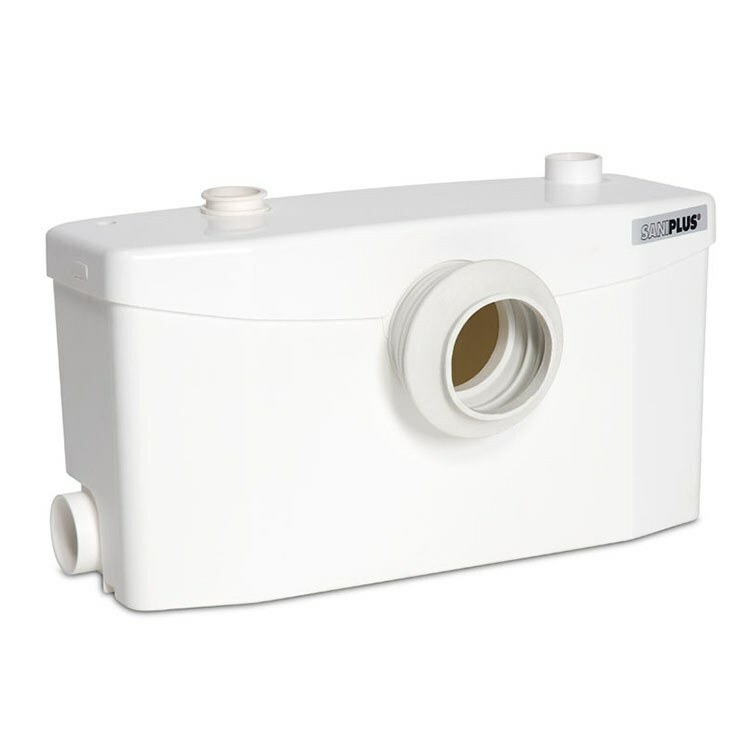 The Saniflo Saniplus macerating pump is used to install a complete bathroom up to 15 feet below a sewer line, or even up to 150 feet away from a soil stack. 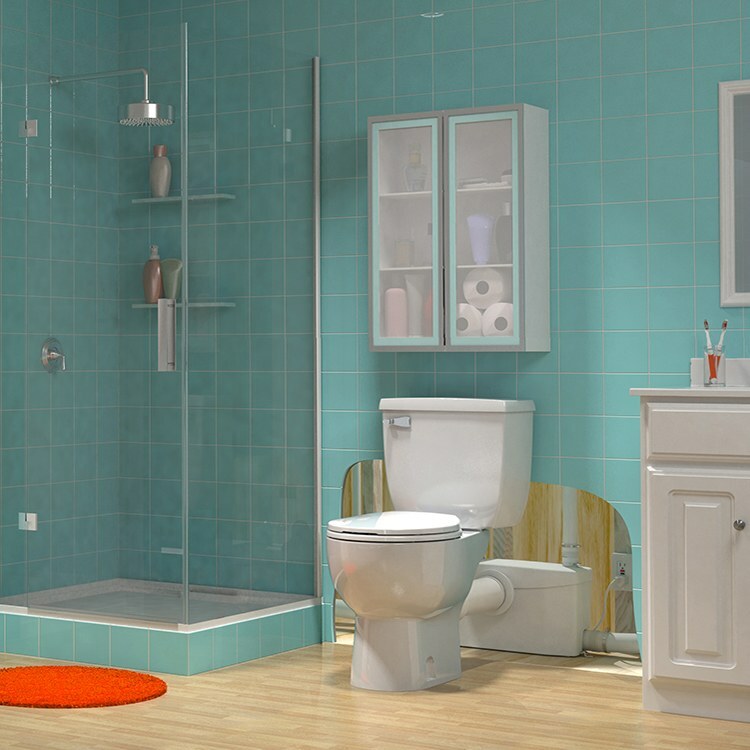 The macerator can handle the effluent from a toilet, sink, bathtub, and shower. Easy to install, it requires only four connections: macerator pump to the horizontal spigot of a rear-discharge toilet, the toilet tank to the water supply, the macerator pump to a small diameter discharge pipe, and the macerator pump to the electrical supply. 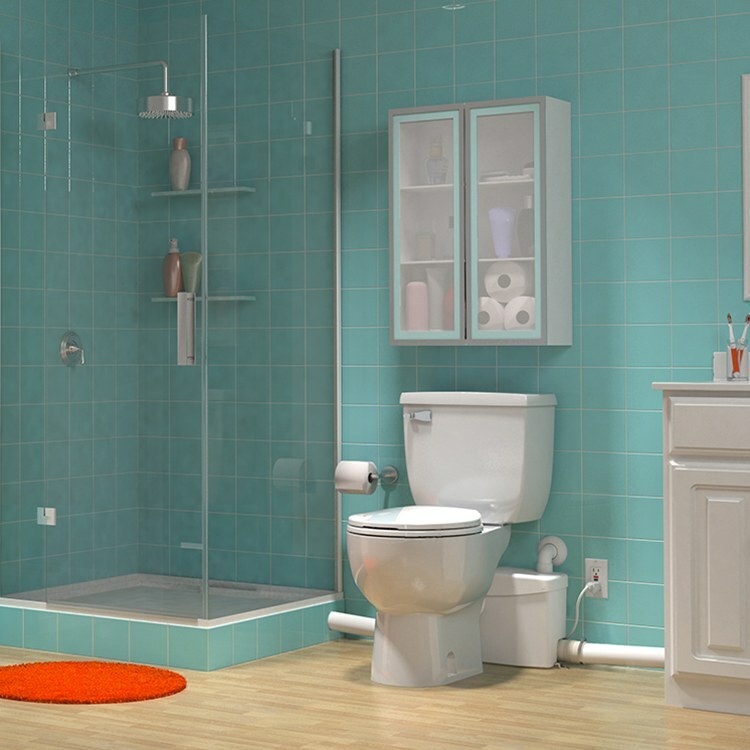 Designed for use with the Saniflo rear-spigot toilet (individual tank (005) and bowl (003) components are sold separately).